Erin Costelo mines the truth - through writing, arranging, producing and masterful live performance. 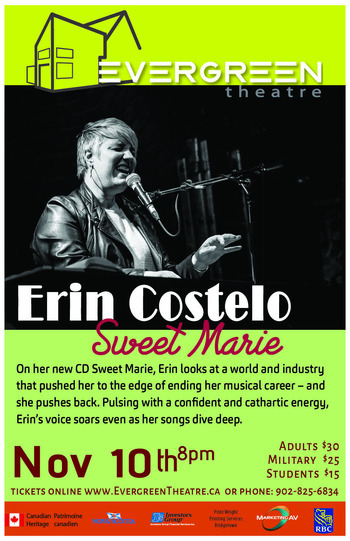 With a voice unlike any other in Canada she has the ability to successfully float between genres and stages, her unwavering vision continuously offering the best sound and voice to a feeling, idea or story. She’s had the opportunity to open for Mavis Staples, Dr. John and Bettye Lavette and has recently performed with Levon Helm's Midnight Ramble Band.